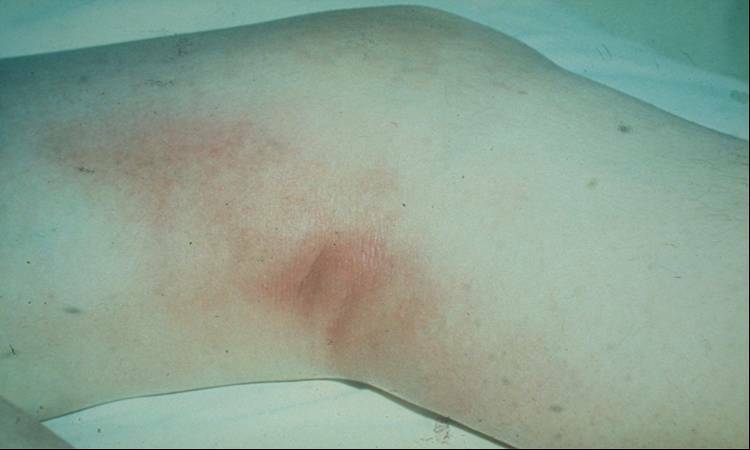 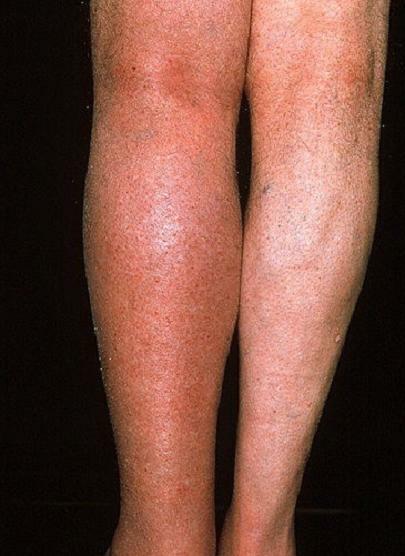 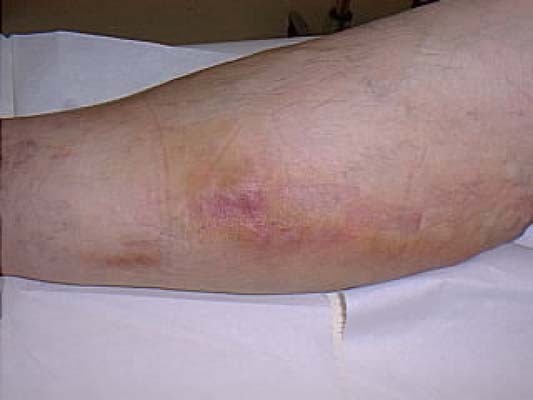 DVT classically produces pain and limb edema; however symptoms may be present or absent, unilateral or bilateral, or mild or severe. 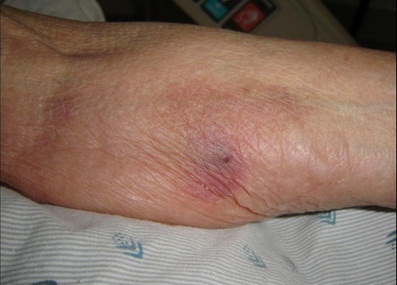 Thrombus that does not cause a net venous outflow obstruction is often asymptomatic. 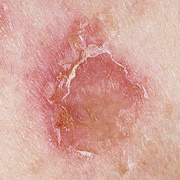 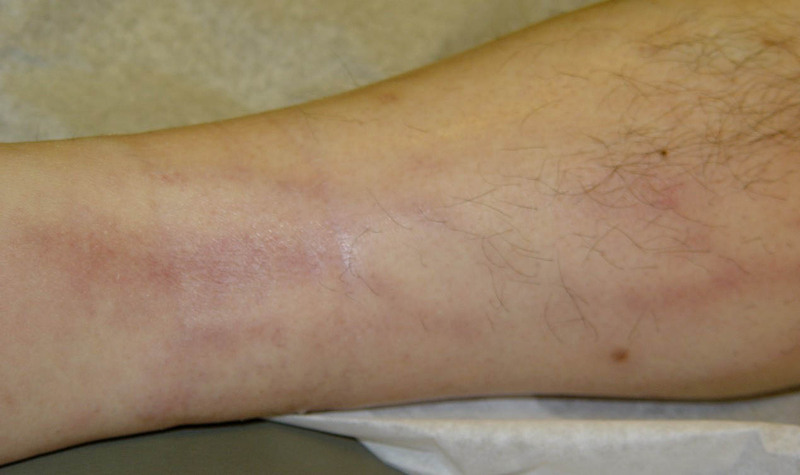 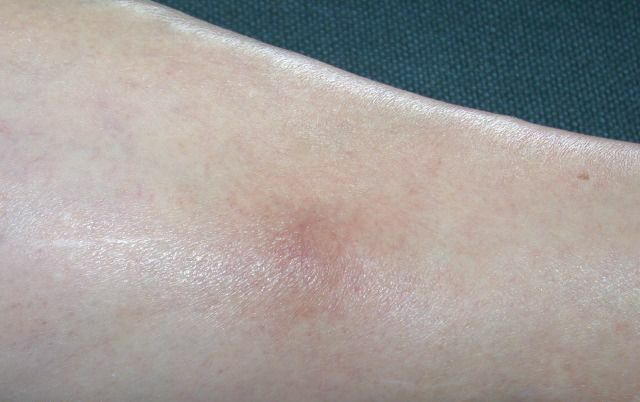 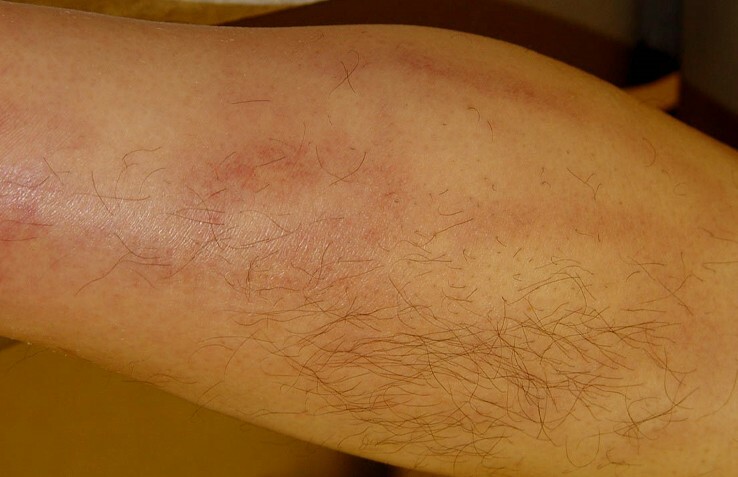 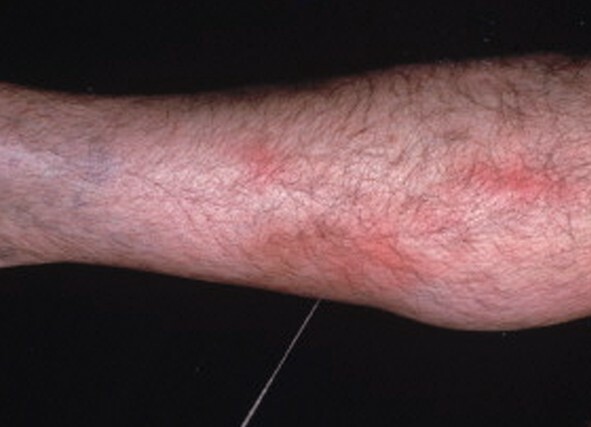 Edema is the most specific symptom of DVT. 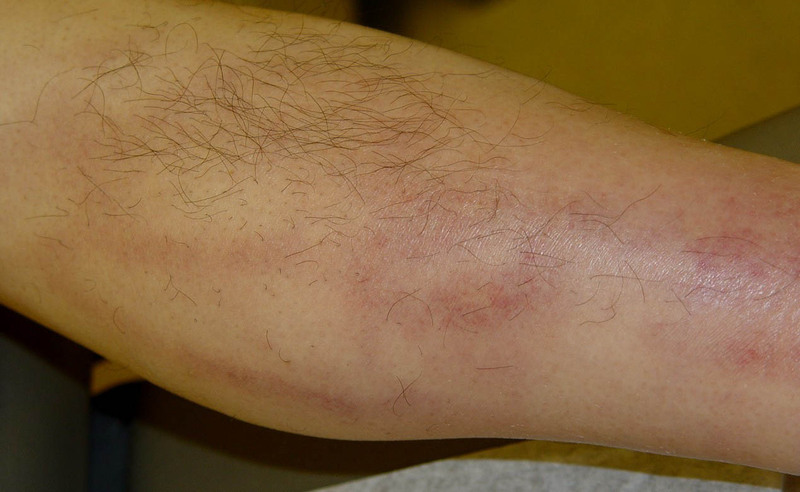 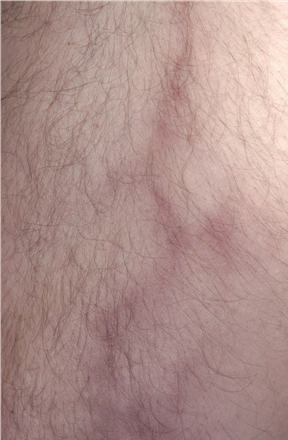 Thrombus that involves the iliac bifurcation, the pelvic veins, or the vena cava produces leg edema that is usually bilateral rather than unilateral. 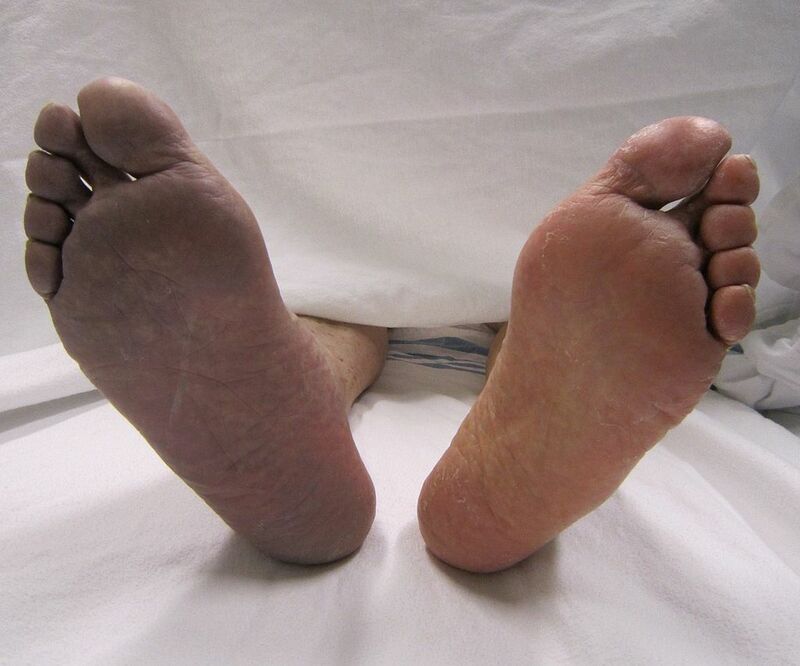 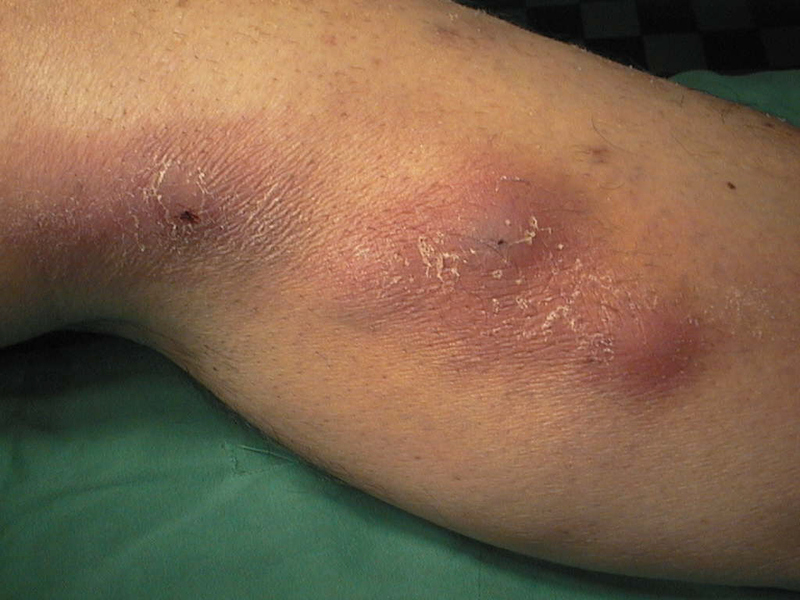 High partial obstruction often produces mild bilateral edema that is mistaken for the dependent edema of right-sided heart failure, fluid overload, or hepatic or renal insufficiency. 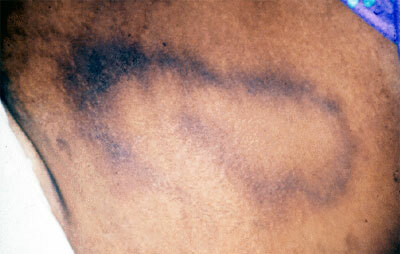 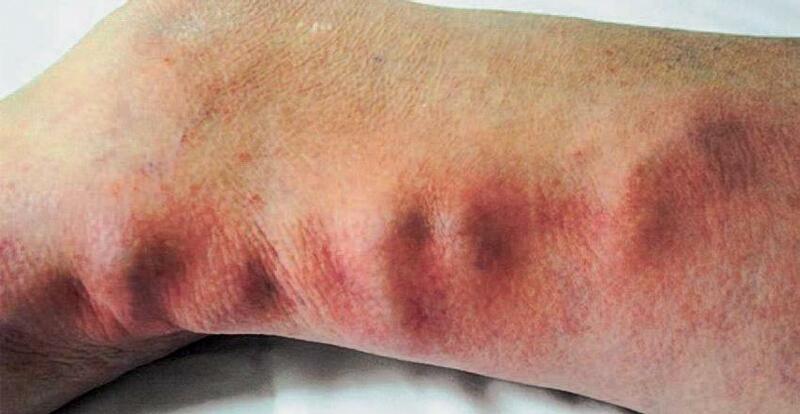 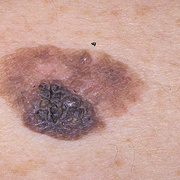 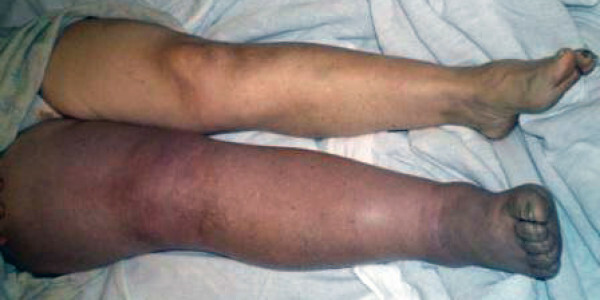 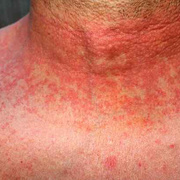 Massive edema with cyanosis and ischemia (phlegmasia cerulea dolens) is rare. 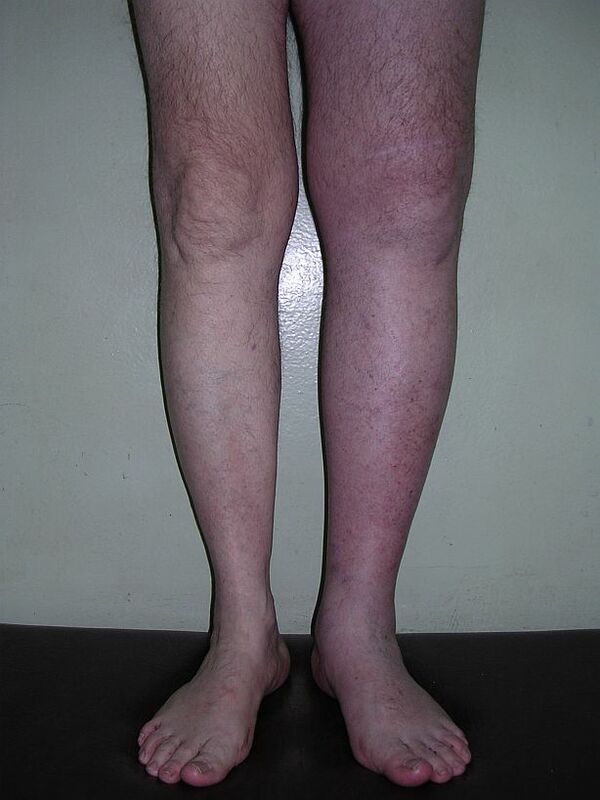 Clinical signs and symptoms of PE as the primary manifestation occur in 10% of patients with confirmed DVT. 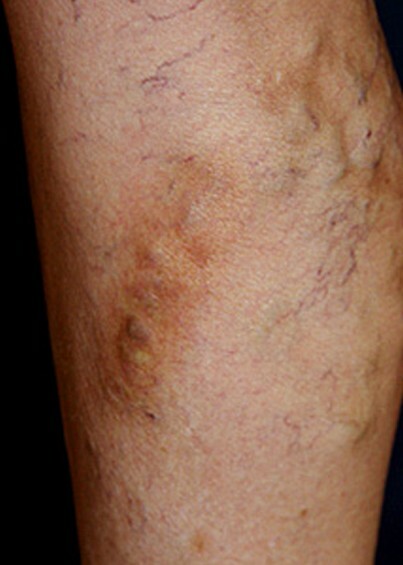 Even with patients with classic symptoms, as many as 46% have negative venograms. 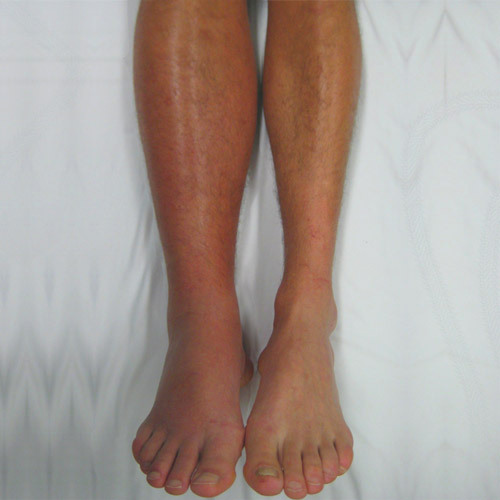 Furthermore, as many as 50% of those with image-documented venous thrombosis lack specific symptoms. 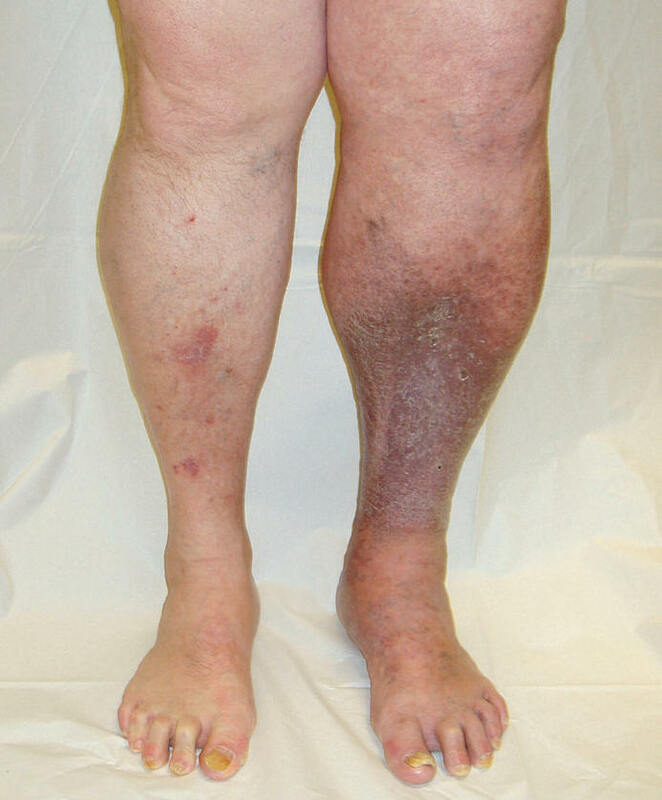 DVT simply cannot be diagnosed or excluded based on clinical findings; thus, diagnostic tests must be performed whenever the diagnosis of DVT is being considered.